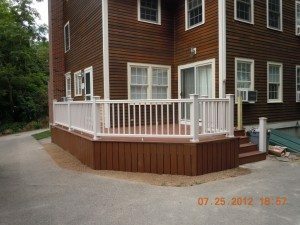 CF Carpentry is a trusted home improvement contractor located in Gloucester, MA, which proudly serves residential clients throughout Gloucester and Cape Ann. With over 30 years of successful experience, we’re able to take the guesswork out of remodeling. We take pride in the fact that we work with local suppliers, use only trusted brands to complete your project and do it in a way that always fits your budget. We will work closely with you to understand your expectations, deliver a satisfactory estimate and begin to bring your project to fruition in a professional manner. Our unparalleled approach to providing quality service from start to finish is what has made us a trusted name in the Cape Ann area. We also have a motto that we stand by which is: “There’s no job too big, or too small – from foundation to finish, we do it all!”. For a free consultation or estimate, please contact us via our short form or by calling 508-843-1042.